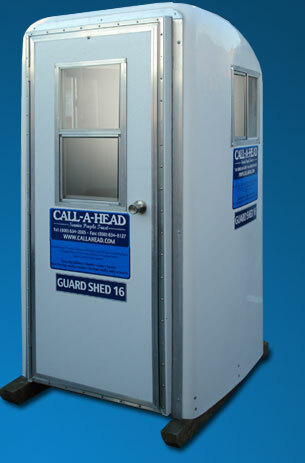 The Guard Shed 16 is the perfect solution for your guard service. 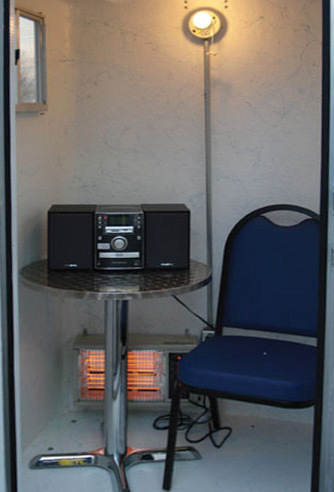 This 4' x 4' unit will enable you to eliminate the unnecessary use of expensive office trailers and other buildings alike. 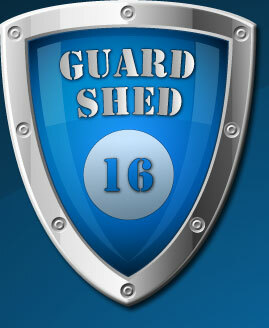 Manufactured from durable weather resistant fiberglass, The Guard Shed 16 may be used during any season. These units include windows, electrical outlet and a light. These extra features create all the more convenience for the user. The Guard Shed 16 may also be used as a ticket booth with just the smallest modifications. The Guard Shed 16 is the perfect solution for providing low cost, comfort and shelter for any individual. Door Opening: 70" x 30"
Window Size: 20" x 16"